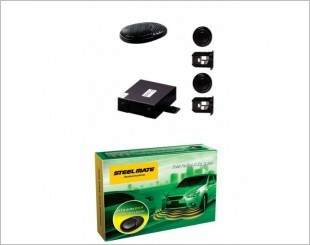 Reverse sensor, also known as parking sensors, are proximity sensors for your vehicle. This safety device will notify you when there is any unseen obstacle or potential hazard during parking. 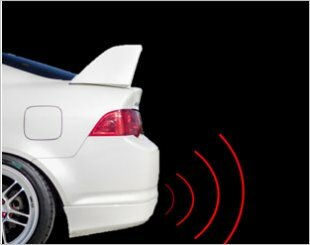 Usually installed at the rear bumper, reverse sensors work by sending electromagnetic waves that are bounced off the surface of the obstacle. The sensor box will then determine the distance between the rear bumper and the obstacle. 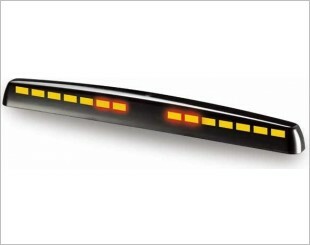 The reverse sensor will notify the driver using audible 'beeping' tones. The frequency of the beep tone will indicate the distance between the rear bumper and the obstacle. The frequency of the beep tone will increase as the bumper is nearing the obstacle. Other than audible notification, there is also a visual aid such as LED readouts or gauge to indicate distance between the rear bumper and the obstacle. It generally works when you are reversing to give prompt warning to others. 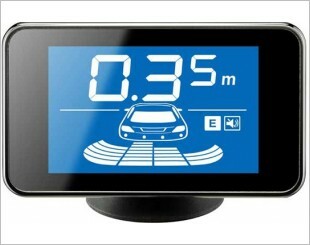 Steelmate PTS800MM is an 8-sensor front and rear parking assist system. Front and rear PTS with automatic audio mute function and two slim LED displays. 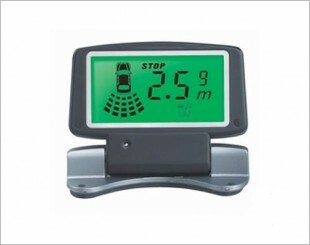 Detects the distance of obstacles and shows it in wireless LCD display to alert the driver. Provides a 0.08s response time, voice and beep prompts alert and other features. 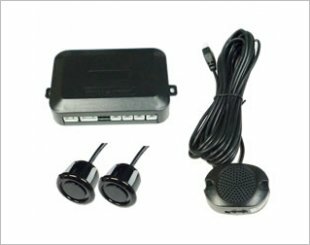 20mm Parking Sensor with buzzer will sound to reminder you while reversing. 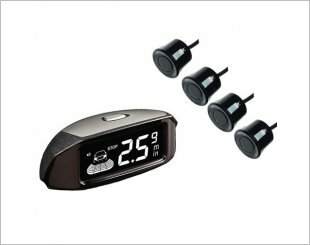 Comes with a built-in buzzer for audible warning, four-sensor direction indicator and much more. 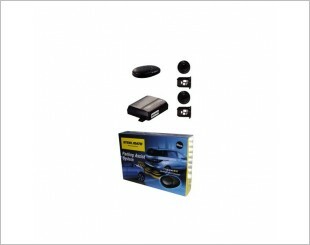 SPY 4 piece parking sensor with automatic flip up display which is able to perform under severe environmental conditions. 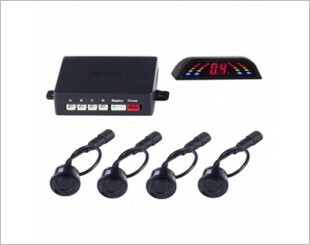 SPY 6 pieces parking sensor with LCD display provides wireless accurate data transmission and more. 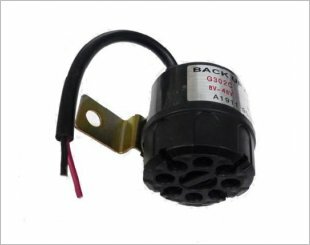 Comes with 4-stage audible warning buzzer, anti-false alarm patent and many more features. 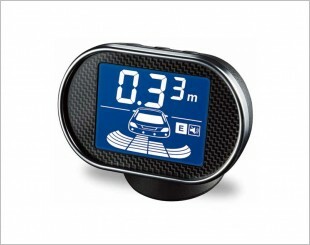 Comes with 4 sensors that can be attached to the front of the vehicle. 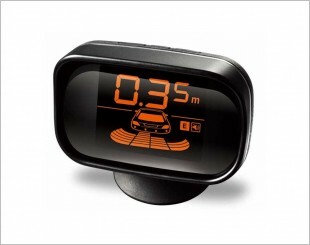 A PTS system with black display with orange digital showing & precise detection up to 0.01m. 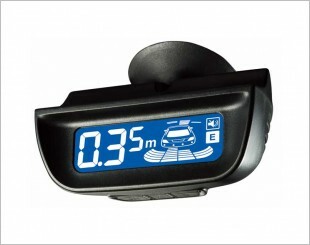 PTS with blue LCD display mounted at bottom of rear view mirror and precise detection up to 0.01m. 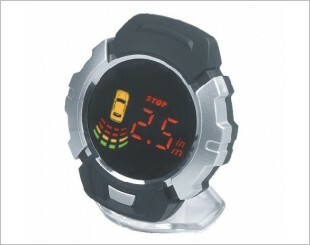 PTS with blue LCD display with carbon fiber panel and precise detection up to 0.01m. 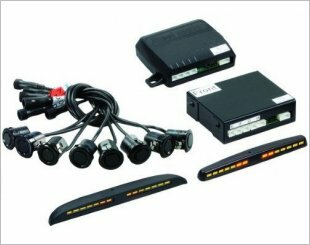 4-sensor rear parking assist system with slim OEM style LED display for mounting on top of rear view mirrors or on dashboards.